When moving to Maui with dogs or cats, do not assume that you can do so as easily as you would in moving between other states. The importation of animals from outside of the State of Hawaii to the Hawaiian Islands is strictly regulated by the Hawaii Department of Agriculture in order to prevent the spread of rabies and other non-native diseases to Hawaii. Hawaii is the only state in the United States which is rabies free and painstaking efforts are taken to ensure it remains that way. Careful planning to ensure compliance with the importation rules is a must when moving to Maui with dogs or cats and planning should begin several months before your move. Generally, animals imported to Hawaii from outside of the state must have updated rabies vaccines and undergo a 120-day quarantine period upon arrival to Hawaii. Of course, certain exceptions to the quarantine rules are made in the case of service dogs. However, in recent years a new procedure has been implemented to reduce the quarantine period upon arrival to Hawaii to 5-days or less, but qualification for that program must be followed precisely. In summary, your pet must have at least two rabies vaccines more than 30 days apart, must be implanted with an electronic identification microchip, must have a blood sample analyzed for rabies at least 120 days before your pet arrives in Hawaii. Additionally, strict documentation of the forgoing is required and all costs must be paid by the pet owner. If the your pet fails qualification under the 5-day or less program, the 120-day quarantine will be required. Currently, the cost of the 5-day or less program is under $250 per pet while the 120-day quarantine costs are in excess of $1,000 per pet. For additional information and comp lete checklists of what must be done to avoid the 120-day quarantine upon arrival to Hawaii, please visit the Animal Quarantine Information page on the Hawaii Department of Agriculture website. 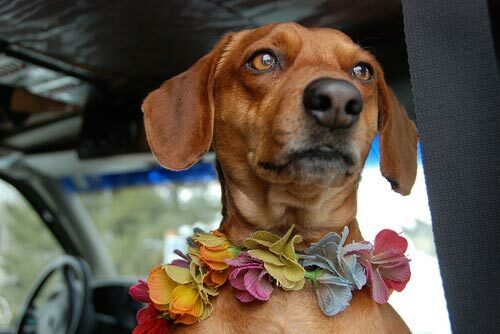 If the process of moving to Maui with your dogs or cats seems overwhelming, there are commercial services which will assist you with the process and ensure your pets will qualify for the 5-day or less quarantine upon arrival to Hawaii. While the procedure of moving to Maui with dogs and cats can be complicated and expensive, with proper planning or professional assistance the move is less stressful and well worth it so that your pets can join you in your move to the Hawaiian Islands.